Crewe Bermuda Dryer Bank has aluminium arm rests and comes in black as standard. Available in 2 or 3 seater with dryer holders to rear. (Please use drop down box to select). 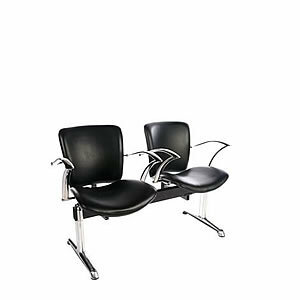 Dimensions Approx Height 84cm, Two Seater Width 123cm, Three Seater Width 191cm, Depth 59cm.